Dorset's new unitary councils are considering working together as a combined authority. The county's nine councils are due to become two in April. A Dorset combined authority, made up of the two new councils, would collaborate on strategic issues such as transport. The Local Democracy Reporting Service said the combined authority plans were part of the general reorganisation, but talks would not resume until after the current merger process was complete. 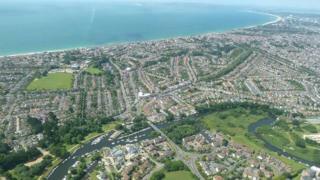 Bournemouth Borough Council leader John Beesley told the authority's audit and governance committee that the formation of a combined authority had been "part and parcel" of the local government reorganisation (LGR) process. He said the proposals had "been left with MHCLG [Ministry of Housing, Communities and Local Government] for the time being". "What we have decided to do across Dorset is to wait for LGR, then to go back and discuss whether we want to proceed," he said. Combined authorities were introduced by the government in 2009 with the first being set up in Manchester in 2011. There are now nine including West of England - formed of Bristol, South Gloucestershire and part of Somerset.